Well, what can you say... I think these guys finally smoked too much dope. Yes. It is very heavy and moves like sludge, but does it move you musically, it does not. I quite liked the first two records by these guys but this has gone a bit too far and the production is so thick that the vocals barely break through the sludge to surface. Wow. The lyrics are very dark, evil, nasty and violent. I think some people will dig this for its heaviness but I think this release really fails to hold my interest and only gets more boring the more I listen to it. I hope the band try to mix in something different in the next heavy sludge effort. 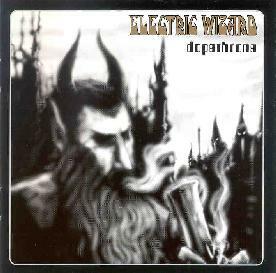 Dopethrone is distributed by The Music Cartel. You can visit their web site at: http://www.music-cartel.com. Contact via snail mail c/o The Music Cartel; PO Box 629; Port Washington, NY 11050.